Take a look at some of the information below. When you are ready, click Request Info so we can get started! Canobie Ctix: fun at a discount! 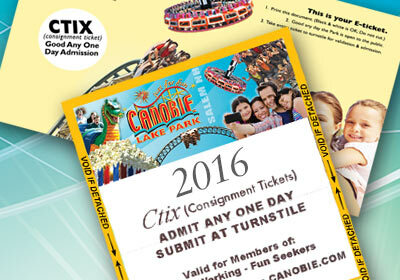 Offer your employees discounted passes to Canobie Lake Park. A great reward! Ctix can be used as rewards for your company’s promotions or incentive programs. They are also perfect to offer to those employees who may be unable to attend your scheduled outing. Reserve your Ctix today! Call, email or use our handy information request form. We’ll get our Ctix Program Agreement with all the details out to you so you can start offering Ctix to your employees.